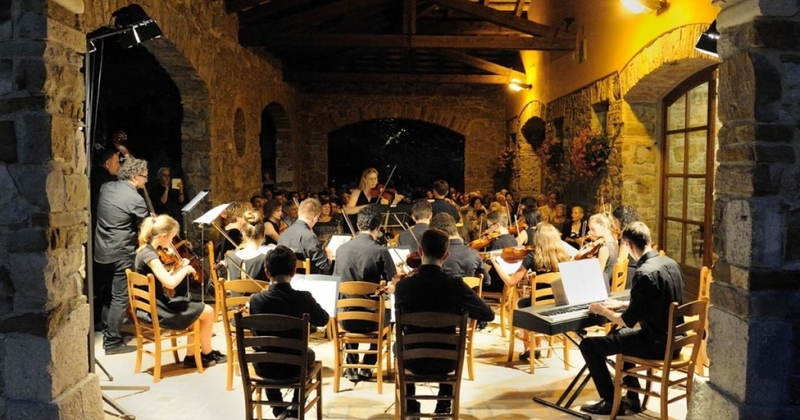 The "Strings Orchestra of the Associazione Musicale e Culturale di Farra d'Isonzo" will perform pieces by Vivaldi, Bach, Pugnani Kreisler, Jacob, Cohen and Piazzolla. The orchestra is formed by Annalisa Clemente, Simone Valente, Elena Delton , Simone Sette, Elisa Battistella , Manuela Pecorari, Leonardo Fonda, Paola Volpi, Giuseppe Lazzara, Barbara Masseni, Isabella Gaspari, Sofia Verardo, Bianca Foladore, Alessandro Verardo ,Leila Comand , Irene Vigini, Ludovica Pucini, Lorenzo Grossi - violins. The Associazione Musicale e Culturale di Farra d’Isonzo is born on 1st March 1975, with the aim to spread culture and music in particular. It is currently attended by more than 200 students from the areas of Gorizia, Udine and Trieste. All the main instruments classes are presents, and complementary courses and group classes too. Beside the educational activities, the association, leaded by the president Bruno Spessot, organizes concerts and conference. For more the 10 years there is also a Strings Orchestra, conducted by Annalisa Clemende, and formed by the students of the school itself. Organization: Clemente Vittorio & co.